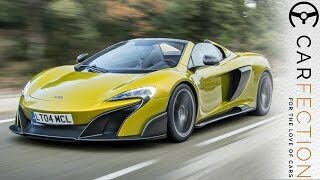 The idea behind conceptualizing the model was to leave no gap in between two best models, 650S and P1. Now that the model is to hit the market, every eye is waiting anxiously to see how far it has been achieved. A very famous old saying goes, ‘higher you aim, higher you hit’. It looks like McLaren had the same view while coming up with this new model. 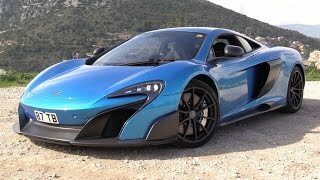 A glimpse of same can be attained with the McLaren 675LT 2016’s less weight and enhanced aerodynamics with engine enthralling with more power but this isn’t all. Definitely the three words are not sufficient to review a model. To achieve a potential and loyal review we decided to take a step ahead and ride this ‘master work’. Let us check what we found out. McLaren tries not to share the details of cabin, same happened in case of McLaren 675LT 2016 but to fill the thirst they highlighted some aspects. Due to the lessening weight strategy, cabin seemed to be stripped down. The standard model though lacks an air conditioner but upon asking it can be fitted from company’s side at no extra cost to buyers. Front and center holds pair of two tone sporty seats covered in Alcantara with stitching add to contrast. While rest of the door sills and panels and dashboard are made from carbon fiber including center stack and posts of the steering wheel. As we mentioned at the beginning McLaren 675LT 2016 looks like a modified 650S, however additional work done to vertical end plates on the edges of front bumper seems to be a positive change in keeping car stable at higher speeds. The rear adds more to taste of 675LT with its longer and lighter longtail brakes in comparison to predecessor 650S. At the rear carbon fiber wings and the titanium made circular exhaust pipes are commendable work by the McLaren team. The model will come in four color variants; Silica White, Delta Red, Napier Green and Chicane Grey. 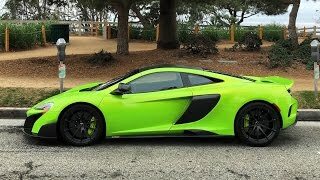 We accept the fact that engine used in McLaren 675LT is same as that in 650S, however slight stats were to increase due to lesser weight but the company didn’t stop and took a lap ahead. The upgraded turbochargers, cylinder heads, exhaust manifolds and fuel pump gave this 3.8 liter engine a new name; M838TL. These modifications further enhanced the performance drastically by leaving the predecessor behind by 25 hp and 22 nm torque. With these now the 3.8 liter Twin Turbo V8 engine produces a good 666 hp and 700 nm torque taking the car to 0-100 km h (0- 62 mph) in just 2.9 seconds with a top speed of 330 km h.
McLaren 675LT 2016 is expected to be around $608,000, we accept to get buyers at this model really needs to be best and even to survive it needs to be. 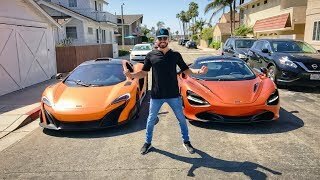 Reason being speculations and calculations say that McLaren 675LT might have to prove existence in front of Lamborghini Aventador LP700-4 Pirelli Edition and Tushek T600.